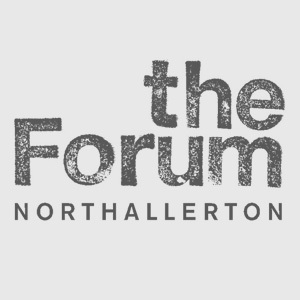 The Forum, Northallerton - cinema, theatre, music and community events. Rooms available for hire. The Forum is home to a state of the art digital projector, screen and sound system, giving you access to the very latest film relases at the standard you would expect from a multiplex cinema. Tickets are available from the What's On page. We host a wide variety of activities run by local groups and organisations, from Boxing to Carpet Bowls to activities for children and toddlers! The Forum is a Registered Charity, set up to operate The Forum as a venue with a varied programme of Cinema, Theatre, Music and Community Events. Located in the centre of Northallerton it's also available to hire for children's parties, meetings, weddings, fairs and other events. Mother Goose's matinee show has just finished and it was another cracking performance from all the characters! The audience has commented on how much they have enjoyed it and have said it was a very good performance. It was Mother Goose's Opening Night tonight and it didn't disappoint, the audience left happy and had certainly been entertained. So if you are at a goose end, sorry I mean loose end either this Wednesday or Thursday you still have time to get your tickets and have a good giggle and enjoy the fun!